Cabarrus County wants to maintain an educated workforce that is versed in the latest job-related technologies, practice and principles. Through Human Resources, The Library System and Information Technology Services (ITS), Cabarrus provides several free opportunities onsite. The County supports continuing education through professional memberships and trainings. There are also opportunities for employees in select positions to earn certifications related to their jobs. The County may sponsor or provide job-related training, including certification preparation courses, if needed for the employee’s current role. Certification test expenses will be paid by the County for a job-related certification for the first test. If the employee is not successful, they must pay for retesting expenses. The County will reimburse the testing expense for the final, successful test. A full time non-probationary employee is eligible for reimbursement of college courses taken to better equip the employee for their assigned duties. The County may reimburse the employee for tuition and course fees up to $500 per semester, not to exceed $1,000 each fiscal year (subject to available funds in the established budget for this program). This amount will be added to the employee pay as a pay type in the amount above following presentation of degree and completed Personnel Status Request (PSR) by the department. This incentive is only available for Criminal Justice or a closely related field of study as approved by the Sheriff from an appropriately accredited institution of higher learning. 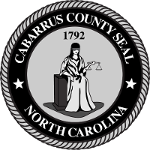 Cabarrus County provides a language incentive for employees who provide translation services within their departments and to other areas, as requested and determined by business need. Employees are eligible for an annual incentive of $1,200 added to their salary if they pass an oral proficiency exam (paid for by the County) at an advanced or superior level in the identified language. The employee is required to retest every three years to verify language capability.